Light Gray Cloth.2012 Toyota Camry XLE25/35 City/Highway MPGAwards: * 2012 KBB.com 10 Best Sedans Under $25,000 * 2012 KBB.com Best Resale Value Awards * 2012 KBB.com 10 Most Comfortable Cars Under $30,000Why West Coast Toyota of Long Beach? Brand new building to house hundreds of vehicles New service center for quick and quality service visits Comfortable customer lounge with snacks and WiFi Toyota Certified service staff Free shuttle services for our service customers. Fully stocked parts department with thousands of parts and accessories available at all times. Toyota Rental Cars Drive one of the latest model Toyotas for business, pleasure or while yours is being serviced. 2017 Toyota Corolla LE NEW ARRIVAL - CERTIFIED28/36 City/Highway MPGCertified. Toyota Certified Used Vehicles Details: * Powertrain Limited Warranty: 84 Month/100,000 Mile (whichever comes first) from original in-service date * Vehicle History * Warranty Deductible: $50 * Limited Comprehensive Warranty: 12 Month/12,000 Mile (whichever comes first) from certified purchase date. Roadside Assistance for 1 Year * Roadside Assistance * Transferable Warranty * 160 Point InspectionAwards: * 2017 KBB.com 10 Best Sedans Under $25,000 * 2017 KBB.com 5-Year Cost to Own Awards * 2017 KBB.com Best Resale Value Awards * 2017 KBB.com 10 Most Awarded BrandsWhy West Coast Toyota of Long Beach? Brand new building to house hundreds of vehicles New service center for quick and quality service visits Comfortable customer lounge with snacks and WiFi Toyota Certified service staff Free shuttle services for our service customers. Fully stocked parts department with thousands of parts and accessories available at all times. Toyota Rental Cars Drive one of the latest model Toyotas for business, pleasure or while yours is being serviced. 1 OWNER, CLEAN CARFAX! 2016 Toyota Corolla LE29/38 City/Highway MPGAwards: * 2016 KBB.com Best Buy Awards Finalist * 2016 KBB.com 5-Year Cost to Own AwardsWhy West Coast Toyota of Long Beach? Brand new building to house hundreds of vehicles New service center for quick and quality service visits Comfortable customer lounge with snacks and WiFi Toyota Certified service staff Free shuttle services for our service customers. Fully stocked parts department with thousands of parts and accessories available at all times. Toyota Rental Cars Drive one of the latest model Toyotas for business, pleasure or while yours is being serviced. 2017 Toyota Corolla SE New Arrival - Certified28/35 City/Highway MPGCertified. Toyota Certified Used Vehicles Details: * 160 Point Inspection * Vehicle History * Limited Comprehensive Warranty: 12 Month/12,000 Mile (whichever comes first) from certified purchase date. Roadside Assistance for 1 Year * Roadside Assistance * Transferable Warranty * Warranty Deductible: $50 * Powertrain Limited Warranty: 84 Month/100,000 Mile (whichever comes first) from original in-service dateAwards: * 2017 KBB.com 5-Year Cost to Own Awards * 2017 KBB.com 10 Best Sedans Under $25,000 * 2017 KBB.com 10 Most Awarded Brands * 2017 KBB.com Best Resale Value AwardsHere at West Coast Toyota, we take pride in ensuring a great experience with every customer who walks through our doors. Our team is always at the ready to make sure all our customers and their vehicles are well taken care of. From our friendly sales team, our well trained technicians, and our informant parts team, we make sure that your visit to West Coast Toyota is one that you remember to share with your friends and family. At West Coast Toyota, WE HEAR YOU! CALL US TODAY AT (562) 733-5745. 2016 Toyota Camry LE NEW ARRIVAL - CERTIFIEDONE OWNER - CLEAN CAR FAXOdometer is 2548 miles below market average!25/35 City/Highway MPGCertified. Toyota Certified Used Vehicles Details: * 160 Point Inspection * Vehicle History * Transferable Warranty * Powertrain Limited Warranty: 84 Month/100,000 Mile (whichever comes first) from original in-service date * Limited Comprehensive Warranty: 12 Month/12,000 Mile (whichever comes first) from certified purchase date. Roadside Assistance for 1 Year * Warranty Deductible: $50 * Roadside AssistanceAwards: * 2016 KBB.com 10 Most Awarded Cars * 2016 KBB.com 10 Most Comfortable Cars Under $30,000 * 2016 KBB.com 10 Best UberX Candidates * 2016 KBB.com Best Buy Awards Finalist * 2016 KBB.com 5-Year Cost to Own Awards * 2016 KBB.com 10 Best Sedans Under $25,000Here at West Coast Toyota, we take pride in ensuring a great experience with every customer who walks through our doors. Our team is always at the ready to make sure all our customers and their vehicles are well taken care of. From our friendly sales team, our well trained technicians, and our informant parts team, we make sure that your visit to West Coast Toyota is one that you remember to share with your friends and family. At West Coast Toyota, WE HEAR YOU! CALL US TODAY AT (562) 733-5745. 2017 Toyota Camry SE NEW ARRIVAL - CERTIFIED24/33 City/Highway MPGCertified. Toyota Certified Used Vehicles Details: * Vehicle History * Roadside Assistance * Warranty Deductible: $50 * 160 Point Inspection * Transferable Warranty * Powertrain Limited Warranty: 84 Month/100,000 Mile (whichever comes first) from original in-service date * Limited Comprehensive Warranty: 12 Month/12,000 Mile (whichever comes first) from certified purchase date. Roadside Assistance for 1 YearAwards: * 2017 KBB.com 10 Best Sedans Under $25,000 * 2017 KBB.com 10 Most Comfortable Cars Under $30,000 * 2017 KBB.com 10 Most Awarded Brands * 2017 KBB.com Best Resale Value AwardsWhy West Coast Toyota of Long Beach? Brand new building to house hundreds of vehicles New service center for quick and quality service visits Comfortable customer lounge with snacks and WiFi Toyota Certified service staff Free shuttle services for our service customers. Fully stocked parts department with thousands of parts and accessories available at all times. Toyota Rental Cars Drive one of the latest model Toyotas for business, pleasure or while yours is being serviced. 2016 Toyota Camry SE Certified25/35 City/Highway MPGCertified. Toyota Certified Used Vehicles Details: * Roadside Assistance * Transferable Warranty * Powertrain Limited Warranty: 84 Month/100,000 Mile (whichever comes first) from original in-service date * Vehicle History * 160 Point Inspection * Warranty Deductible: $50 * Limited Comprehensive Warranty: 12 Month/12,000 Mile (whichever comes first) from certified purchase date. Roadside Assistance for 1 YearAwards: * 2016 KBB.com 10 Most Comfortable Cars Under $30,000 * 2016 KBB.com 10 Best Sedans Under $25,000 * 2016 KBB.com 5-Year Cost to Own Awards * 2016 KBB.com 10 Best UberX Candidates * 2016 KBB.com 10 Most Awarded Cars * 2016 KBB.com Best Buy Awards FinalistHere at West Coast Toyota, we take pride in ensuring a great experience with every customer who walks through our doors. Our team is always at the ready to make sure all our customers and their vehicles are well taken care of. From our friendly sales team, our well trained technicians, and our informant parts team, we make sure that your visit to West Coast Toyota is one that you remember to share with your friends and family. At West Coast Toyota, WE HEAR YOU! CALL US TODAY AT (562) 733-5745. Where can I find a certified pre-owned Toyota? West Coast Toyota is the perfect spot for you to find a certified pre-owned Toyota. We have a wide selection of certified vehicles for you to choose from. 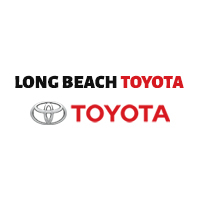 Whether you’re in Long Beach, Torrance, Signal Hill, or another nearby city, West Coast Toyota is a convenient spot for you to find the car you’re looking for. So stop by West Coast Toyota today! Here at West Coast Toyota, our used cars go through a rigorous process before becoming a Certified vehicle. There is a large checklist and inspection that the car must pass before being given the Toyota Certified seal of approval. If you’re in the market for a used car, you might want to check out our Toyota Certified pre-owned inventory. These cars have gone through an extensive clearance process to ensure they are the highest quality used vehicles. Toyota certified cars have a warranty and guarantee that they are in great shape and will run well. So stop by West Coast Toyota to find your next vehicle today!